Describes how players can play online poker for free by participating in freerolls. Educates the reader about how online poker freeroll tournaments work. 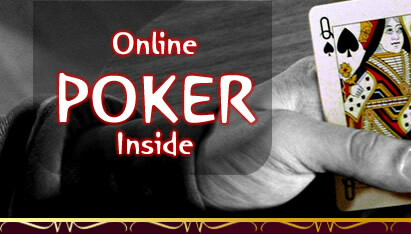 Many people don't realize that they can play poker online for free and still have a chance to win money. This is made possible because many of the online poker sites offer freerolls, which are poker tournaments that you can enter without putting up any money of your own. Freerolls work pretty much like other poker tournaments. You do have to create an account but you don't have to deposit any money in the account in order to be eligible to play in the freeroll tournaments. Most poker sites will have a tournament schedule, including one for freerolls. Some online poker sites, such as Poker Stars, have freerolls almost every day and play a variety of poker games such as Texas Hold'em, Stud, Omaha, and even games such as HORSE, which combine different games into one. The way you can win money playing freeroll tournaments at Poker Stars is first by winning the freeroll tournament, which advances you into a special tournament. Place in this special tournament and you can take home part of a prize pool, which is often in the neighborhood of $2,000. You don't have to win first place in the freeroll tournament to advance. After the tournament starts, you will be advised of how many places there are, usually somewhere between 80 and 100. Of course, since these tournaments are often limited to approximately 10,000 to 13,000 players, competition is stiff to be one of the remaining 100 players. Still, it is a fun way to play poker online for free and still have the potential to walk away a winner. Registration is usually open about an hour before the freeroll begins and most tournaments fill up fast so you will want to register as soon as you get the opportunity. Also, there is an "unregister" button for those who have registered and then, for whatever reason, have decided not to play. If you have signed up for an online poker freeroll and then have decided not to play, be courteous to your fellow poker players and unregister as there are always poker players in the wings ready to take your seat. In fact, the very second your seat becomes available again, someone who was previously locked out will claim it and be very happy that they get to spend the evening playing poker for free. Be aware of the pot limits, if any, when you sign up to play online poker freeroll tournaments. 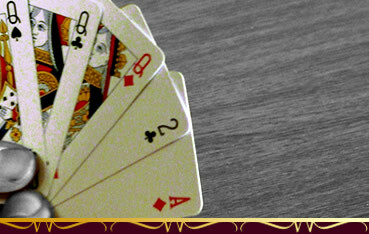 The no limit games are played very aggressively; there is always someone who will go "all in" at the very beginning. In fact, if you aren't willing to go all-in, you'll find yourself folding more often than not. Then the players that win these hands build up a bankroll very quickly and are able to challenge you to the amount you have without batting an eyelash. Some poker players prefer freeroll tournaments that have a fixed limit or pot limit because this allows them the chance to play much longer as the play is not nearly as aggressive. Even beginning poker players who know little more than the rules of the game can easily last a couple of hours in these tournaments. Whatever your pleasure, there is bound to be a freeroll poker tournament about to start so sign up and start playing!